Spray finishing incorporates relatively simple but effective means of depositing dispersed organic or inorganic materials on surfaces to be coated, treated, or cleaned. Unfortunately, during spray finishing operations, some particles may emit into the workroom atmosphere, injuring individuals through inhalation and direct contact with the skin. Furthermore, these gases, vapors, mists, or dusts can condense or collect on different surfaces—including floors, ceilings, and walls—of any workroom to shape unsanitary, unhealthy, or unsafe conditions. Therefore, it is crucial that manufacturers and users protect the health of personnel from potential injuries brought on by contact with gases, vapors, mists, dusts, powders or solvents used in, created, released, or disseminated during or by spray finishing operations. ANSI/ASSE Z9.3-2017: Spray Finishing Operations: Safety Code for Design, Construction and Ventilation serves this very purpose, preventing injury to individuals and attaining reasonable safety from fire and explosion. The ANSI/ASSE Z9.3-2017 standard details an assortment of interests associated with spray finishing operations and the methods for eliminating harm inflicted onto personnel, including guidelines for equipment, air flow, ventilation, replacement air, portable ovens in spraying areas, and waste disposal. Please note that the term “spray finishing operations” does not refer to metal spraying or metallizing, dipping, flow coating, roller coating, tumbling, centrifuging, or spray washing and degreasing machines or systems. 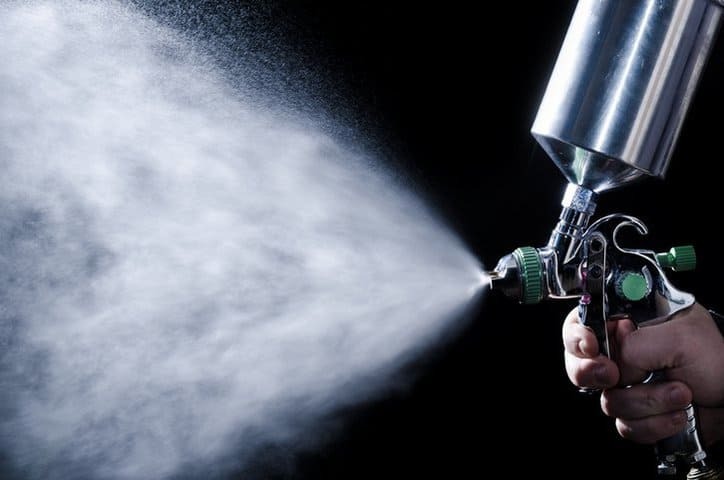 In addition, ANSI/ASSE Z9.3-2017 does not apply to personnel spraying the exterior of buildings, spraying inside fixed tanks and similar structures, or using small hand spray cans. ANSI/ASSE Z9.3-2017, like other American National Standards developed by the American Society of Safety Engineers (ASSE), is presented in a two-column format, with the left column containing the actual contents of the standard and the right being comprised of explanatory information and other knowledge to ease compliance. This right-hand, informative column of ANSI/ASSE Z9.3-2017 serves as a significant source of aid for the standard user, not only from the general information it provides, but also due to the mention of referenced documents, to which the user can refer to for additional guidance on a covered topic. For example, in the left column, when discussing means of egress for design of spray booths or rooms, the document, in the right column, tells the user to look to NFPA 101-2015: Life Safety Code, 2015 Edition for further information. ANSI/ASSE Z9.3-2017: Spray Finishing Operations: Safety Code for Design, Construction and Ventilation is available on the ANSI Webstore.